Seniors and young leaders have participated in a series of media workshops over the last few months in Livingston, Aberdeen and in Paisley. 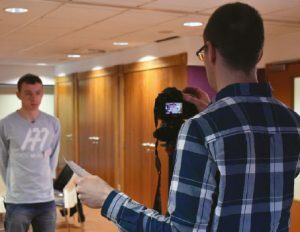 The creative media opportunities have given participants the chance to develop skills in storytelling, video production, interviewing and social media. Young people will be given the opportunity to put these skill into practice at upcoming national events. A template of the workshop will be shared with battalions and Queen’s Badge areas for use at local level.